IMPORTANT – THESE ACCOUNT OPERATING RULES FORM THE LEGALLY BINDING AGREEMENT BETWEEN YOU AND US. THIS MEANS YOU SHOULD READ THEM, AND THE DOCUMENTS WE REFER TO IN THEM, CAREFULLY BEFORE USING OUR FACILITIES. WE RECOMMEND YOU KEEP A COPY FOR YOUR RECORDS. PLEASE NOTE THAT THESE ACCOUNT OPERATING RULES ARE SUBJECT TO CHANGE. 1.1.2. British Gambling Commission (licence number: 000-027343-R- 308898-008) in respect of Fixed Odds Bets. 1.2. Our registered address is Gateway House, Milverton Street, London, SE11 4AP. 1.3. Our customer services (“Customer Services”) contact details are: 08000 969607 (ex-UK +44 20 7840 4050) and enquiries@ sportingindex.com. Customer Services can be reached 24 hours a day, 7 days a week. 1.4. The FCA's address is: 25 The North Colonnade, London, E14 5HS. The Gambling Commission’s address is Victoria Square House, Victoria Square, Birmingham, B2 4BP. 2.1. In these Account Operating Rules, we refer to the Account Operating Rules and the additional rules and policies listed in clause 2.5 below, jointly and separately as the "Rules". 2.2. Where we use capitalised terms in these Rules (for example, 'Account'), they have the meaning given to them in clause 27, or where they are otherwise defined in these Rules. 2.3. By opening an Account and/or by placing a Bet with us, you confirm that you accept these Rules and agree to comply with them. At this point a legally binding agreement on these terms is concluded between you and us in accordance with, in respect of Spread Bets, section 412 of the Financial Services and Markets Act 2000 (“FSMA”) along with any other suspending sections or statutory instruments made under FSMA and, in respect of Fixed Odds Bets, the Gambling Act 2005 (as amended). 2.4. Nothing in the Rules will exclude or restrict any duty or liability that we owe to you under FSMA or the FCA Rules in respect of Spread Bets. If there is a conflict between the Rules and FSMA and/or the FCA Rules, FSMA and the FCA Rules will prevail. 2.6. The Rules will supersede our previous rules (for amendments or additions to the Rules see clause 22 below) but not any bespoke agreement that may exist between you and us. Any such bespoke agreement will continue in existence and not be superseded by the Rules. Please read the Rules carefully before you place any Bet with us. You should only open an Account with us if you have read and understood the Rules and agree to be bound by them. In the event of a conflict between the Rules and any bespoke agreement entered between you and us, the bespoke agreement shall prevail. In the event of a conflict between these Account Operating Rules and any rule contained in any other contractual document making up the Rules, these Account Operating Rules shall prevail. 2.7. Please note that there may be separate general sports rules, individual sports rules and/or individual games rules for each of our Spread Betting and Fixed Odds products. The rules governing how Markets are offered, managed and/or settled are not the same for every Market on each betting product. You can view these specific rules in the Spreads Sports Betting Rules and the Fixed Odds Sports Betting Rules. 2.8. In certain circumstances, a Bet that is settled as a winner on one betting product may be settled as a loser on the other (and vice versa). Additionally, different settlement rules may apply so that, for example, Bets that are a winner on one betting product may be settled as a dead heat or be voided on the other betting product. You must ensure that you familiarise yourself with the relevant Rules that apply to the Bets that you place with Sporting Index. If you have any questions on how a Bet will be settled please contact our Customer Services team who will be happy to assist you. 3.1.4. all information and details provided by you to us at the time of opening your Account and thereafter are true, accurate and will be kept up to date. In particular, you will inform us immediately should your financial position deteriorate or your contact details change in accordance with clause 15. 3.2. It is your responsibility to determine the law that is applicable to your location in which you are present and to ensure that you are complying with the applicable laws in opening an Account, opening a Bet and/or using our Website and/or Services. 3.3. You are only permitted to have one Account with us unless agreed otherwise in writing with us. If we identify that you have opened more than one Account without our express agreement, we reserve the right to close such Accounts. 3.4. You will deal with us as principal and not as an agent for any undisclosed person. You are our client and are personally responsible and liable for performing your obligations under the Rules and for performing the obligations under each Bet you open with us. If, however, contrary to this clause you act on behalf of someone else, that person will be liable to us in the same manner as you in respect of the Bets that you open on that person’s behalf. Such liability will be in addition to and will not in any way affect your own liability to us. 3.5. We will only accept instructions and/or Bets from a third party, agent or representative acting on your behalf, upon prior written agreement. You will remain solely responsible and liable for these Bets opened on your behalf. 3.6. We shall treat you as a retail client as defined in the FCA Rules in respect of your Spread Betting activity. 3.7. We deal with you on an execution-only basis. You are responsible for making your own independent appraisal and investigation into the risks of any Bet. You Bet with us entirely at your own risk. We will not give you advice on the merits or otherwise of entering into a particular Bet. We simply carry out your betting instructions and do not advise on the merits of any particular transactions. We will act as principal and not as agent on your behalf. We do not owe you a duty of best execution in respect of any Bet you may open with us. We are under no obligation to satisfy ourselves as to the suitability or appropriateness of any particular Bet for you. 3.8. If a person employed by us nevertheless makes a statement of opinion regarding any Bet or Index, whether in answer to a question from you or not, you will not treat such statement or opinion as advice or a personal recommendation by us to enter into a particular Bet. You will at all times rely upon your own judgment and research. 4.1. Upon an Account being opened for you, you will be provided with an Account number. This, together with your chosen password, will enable you to access (via login) our up-to- date online prices that are exclusive to Account holders and to offer to place Bets on your Account (either by telephone or via one of our online trading platforms). You are responsible for maintaining the confidentiality of your Account number and password and agree that you will be liable in respect of all Bets placed on your Account by any person using them who gained knowledge of them through you (as opposed to through us), unless you are able to demonstrate to our reasonable satisfaction that use of your Account by a third party was neither permitted nor authorised by you nor due to your fault or negligence. You agree to notify us immediately by email enquiries@sportingindex.com or by phone on 08000 969607 if you become aware of any unauthorised use of your Account number and/ or password. 4.2. You should take all reasonable steps to ensure that there are no computer viruses, worms, trojans, software bombs or similar items on the device(s) you use to access the Services that may impair the security of our Website or your Account details. 4.3. If you have reason to believe that any person has had access to your security details, and this includes access through an infected computer, you should inform us immediately and we shall suspend your Account to investigate. If you have lost or forgotten your Account details please contact us immediately for a replacement by email enquiries@sportingindex.com or by phone on 08000 969607. 5.1.1. We offer five different Spread Betting Account types which fall under the categories of “Stop Level Account", "Non-Stop Level Account" or an "Easy Account" (see the table below for further details). 5.1.2. You may have either deposit or trading facilities with the Stop Level and Non-Stop Level Accounts (see below for details). The Easy Account operates as a deposit Account only. 5.1.3. Any of the Spread Betting Account types will also permit you to place Fixed Odds Bets with us. 5.1.4. Please note that it is possible to suffer losses greater than any pre-set limit or deposit made with all our Spread Betting Account types. Please ensure you choose an appropriate Account type to match your financial capability. 5.1.5. A Stop Level Account, which may be a trading facility Account or a deposit Account, is designed to limit your exposure to both losses and profits by automatically attaching a 'stop' level when you open a Spread Bet. You should therefore check what “stop loss” and “stop win” level limit is applied to a Spread Bet prior to opening that Spread Bet with us. Note that stop levels vary from Index to Index and are not available on all Indices. Stop levels are usually available on our Website. If, however, the stop levels are not published for the Spread Bet you wish to place, or you do not have access to our Website at the time you wish to place your Spread Bet, you should contact Customer Services for this information. 5.1.6. For Spread Bets that have “stop win” and “stop loss” levels those levels are the maximum number of points away from the level at which the Spread Bet was opened at which the Spread Bet will be closed. 5.1.7. Having a Stop Level Account does not guarantee that your losses will not exceed the amount of your Deposit or Trading Facility Limit. Furthermore, a Stop Level Account may also be subject to a Margin call (see clause 7.4 below). 5.1.8. “Stop losses” and “Stop wins” are placed on all Spread Betting markets if you have a Stop Level or Easy Account, except for Spread Bets that have a Maximum Make-up or Minimum Make-up (see clause 7.8.4). Please note that Bets placed on Spread Games are subject to clause 7.12. 5.1.9. A Non-Stop Level Account, which may be a trading facility Account or a deposit Account, will not, subject to clause 7.8.4, apply any stop level to your Spread Bets. 5.1.10. An Easy Account, also referred to as “Bethilo” and “Limited Risk” is a type of deposit Account in which your losses are normally limited to the deposits held by us at the time of opening your Bet(s) and your profits will be limited to an equivalent sum. If you hold an Easy Account, your Bets are placed on this basis. 5.1.11. There may be instances when your Account will show a negative cash balance as a result of placing Spread Bets via our telephone service or adjustments made to your Account in accordance with the provisions of these Rules. If this occurs, payment will be required from you in accordance with the provisions of clause 10 below. We also offer a Fixed Odds Only Betting Accounts which can be either a deposit only or trading facility Account (see the table below for further details). Please note that if you have a Fixed Odds Only Betting Account, you will not be able to place any Spread Bets with us. 5.3.1. We may offer or agree to grant you a trading facility up to a stated limit ("trading facility limit") and any trading facility limit will be subject to any additional terms, conditions and limits as we may agree with you. Your trading facility limit is not a loan or an agreement to lend money. The sole effect of your trading facility limit is that it may be offset against the losses on your open Bets or against the Volatility Requirement that is applicable to your Spread Bets. 5.3.2. The fact that we do not ask you to make a cash deposit to cover the Volatility Requirement at the time of opening a Spread Bet will not prevent us from asking for it at a later date (see clause 7.3). You will remain liable for the loss arising on a Bet placed on your trading facility Account whether or not we in fact ask you for a cash deposit sufficient to cover the Volatility Requirement for any Spread Bets you may have placed with us. A trading facility limit will in no way limit your losses or potential liability to us. 5.3.3. Your trading facility limit cannot be offset against realised losses (i.e. losses that you have incurred on closed Bets) and which are payable in full in accordance with clause 7.11.1. This applies regardless of the size of any trading facility limit that you may have. We may alter your trading facility limit downwards (or remove it altogether) on written notice to you. In determining whether to alter your trading facility limit downwards (or remove it altogether) we will have regard to our commercial interests only. Any such downward revision or removal will only apply to new Bets placed after such notice has been given to you, save that any such downward revision or removal will also apply to existing Bets if we reasonably believe at the time of notice being given to you that there has been or may have been a change to your financial circumstances such that you represent a greater credit risk to us than previously. 5.4.1. If you have a deposit only Account we will normally require you to make a cash deposit prior to opening a Bet if your Available Balance is insufficient to cover the Volatility Requirement for the Spread Bet you wish to place or to cover your stake for a Fixed Odds Bet. 5.4.2. The fact that we do not ask you to make a cash deposit to cover the Volatility Requirement at the time of opening a Spread Bet will not prevent us from asking for it at a later date (see clause 7.3). You will remain liable for the loss arising on a Bet placed on your Deposit Account whether or not we in fact ask you for a cash deposit sufficient to cover the Volatility Requirement (or stake in respect of Fixed Odds) for that Bet. 5.5.1. You may apply to switch your Account type at any time. If your application is successful, we shall notify you of that fact in writing (including via email). If your Account type is changed, any open Bet(s) will remain on your original Account until those Bet(s) are closed in accordance with these Rules. Despite changes to your Account type, you will still remain liable to pay any losses incurred on those Bet(s) and we will remain liable to pay you any profits. 5.5.2. We may change your Account type following discussion with you. If you tell us that you do not want to accept the new Account type, then either of us may terminate the agreement between us in accordance with clause 18 and the consequences of that clause shall apply. 5.5.3. If your Account type is changed, any open Bets will remain on your original Account until those Bet(s) are closed in accordance with the Rules. You will not be able to place any new Bets on your original Account. Despite changes to your Account type, you will still remain liable to pay any losses incurred on those Bet(s) and we will remain liable to pay you any profits. Any cash balance on your original Account once all remaining open Bets have been closed will be transferred to your new Account and will form part of your Available Balance on your new Account. 6.1.1. Bets will only be accepted by us by telephone or via our online trading platforms. We may change the technologies through which we accept betting instructions at any time in the future. We will inform you if this is the case and following such notice all Bets placed through such new technology will be governed by the Rules. 6.1.2. Unless otherwise stipulated by us, you may use your Account to offer to place Bets over the telephone or via one of our online trading platforms. We may at any time determine that your Account is to be designated telephone trading only in which circumstances you will be limited to opening and closing Bets by telephone only. We shall endeavour to give you advance notice of such designation but this may not always be reasonably practicable. 6.1.3. In order to place a Bet through our online trading platforms you may be required to download a software application. Any software made available to you is provided solely for your personal use in connection with your Account. We and our licensors (as the case may be) retain the intellectual property rights in all elements of the software and you must not transfer or disseminate the software to any other person. 6.1.4. Bets will only be accepted during the trading hours (save in circumstances during the trading hours when trading times are restricted for the Market in which you are betting. These trading hours (and the restricted trading times that apply during these trading hours) are subject to change and vary according to the Market that you are betting in. Before placing a Bet, you should ensure that you are familiar with the trading hours for the Market that you wish to bet in. Before placing a Bet, you should also ensure that you are familiar with the restricted trading times that apply during the trading hours for the Market that you wish to bet in, as restrictions on trading times may apply, and these restrictions will impact upon your ability to open or close a Bet. This information is whenever practicable provided on our Website in the description of the relevant Market. Should you have any queries regarding trading hours or the restricted trading times that apply within trading hours you should telephone us for information or clarification before you place a Bet. 6.1.5. A Bet will only be opened or closed when your offer has been (a) actually received and (b) expressly accepted by us. 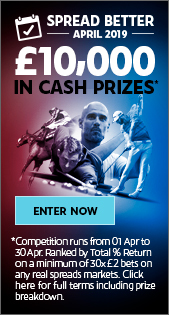 This applies whether your Bet is placed over the telephone or via our online trading platforms. In all cases when a Bet is accepted by us we shall generate an internal Bet reference number. The generation of that number is solely determinative as to whether a Bet has been accepted by us. We reserve the right in our absolute discretion to: (a) refuse to accept any Bet on any ground whatsoever and/or (b) restrict the size and price of any Bet you wish to place with us. 6.1.6. Until a Bet reference number is generated, the Bet has not been accepted. If trading via one of our online trading platforms, a Bet confirmation message containing a bet reference number will be displayed on the screen and may be printed. You can confirm that your Bet has been accepted by checking your Open Bets screen online. You should review your Open Bets screen after every Bet to ensure your Bet has been placed and that it holds the correct information as understood by you. If trading over the telephone our trader will confirm whether your Bet is accepted and will only do so once a bet reference number has been generated. You will not be supplied with an individual written confirmation (known as a contract note) for each Bet you enter into unless you request it. If you are unsure whether a Bet has been accepted by us you should telephone us without delay to confirm the position, or you may check whether a Bet has been accepted by checking your Open Bets Screen online. 6.1.7. Except in the case of our negligence or wilful default, once Bets have been placed and their acceptance confirmed they may not be cancelled or amended by you. 6.1.8. You should notify Customer Services as soon as reasonably practicable if you cannot locate a Bet reference number for your Bet or if you dispute any information contained within a Bet confirmation message or should you not receive such a message within two minutes of your Bet having been placed. 6.1.9. Each Bet placed by you will be binding on you. In the case of Spread Bets, this applies even if by placing the Bet you exceed any trading facility or other limit applicable to you or your Account. If your Bet is accepted and less than 10 seconds have elapsed since your request, you will be sent a ‘bet confirmed’ message, which will detail your Bet reference number. If more than 10 seconds have elapsed, you will be sent a ‘re-offer’ message inviting you within a further 10 seconds to re-offer your Bet at the price quoted, which may be different from the original price quoted to you (see below). Your Bet will not be placed unless you receive a ‘bet confirmed’ message in respect of it. If your Bet has not been accepted in the first instance, you will be sent a ‘re-offer’ message inviting you to re-offer your Bet at the price and/or stake quoted. Please note that this price and/or stake may be different from the original price quoted to you. Given that our re-offer message can vary the stake or price offered back to you, it is important that you check the details carefully. It is for you to decide whether to re-offer or cancel at the re-quoted price and/or stake. You have 10 seconds to re-offer at the re-quoted price and/or stake before it times out. Failure to respond within the allocated 10 seconds will result in your re-offer being automatically declined. If your re-offer is received and accepted by us a Bet reference number will be generated for that Bet and a Bet confirmation message will be displayed on the screen and may be printed. We may decline your re-offer to open a Bet at a price we have quoted to you in our sole discretion as we see fit. 6.3.1. Where a Market we offer is stated to be ‘in-play’ or ‘in-running’ the trading hours for that Market will include the period when the underlying event is in progress, subject to the Rules and to the restrictions set out below. 6.3.1.4. Indices relating to the long-term performance of individuals or teams will not be quoted when they or a rival or a related party are actually in-play. For example, season points, series runs, etc., may be traded between, but not during, games, innings, ties etc. respectively. 6.3.2. If you are proposing to trade in an ‘In-play’ Market you should ensure that you are familiar with the restrictions on the times when you will be able to open/close Bets. 6.4.1. From time to time, because of technical failure and/or malfunction and/or human error and/or oversight, we may accept: (a) a Bet on a Market that is not an ‘In-play’ Market and the underlying event has already started; and/or (b) a Bet on a market that is an ‘In-play’ Market, but which we would in the ordinary course of our business refuse for the reasons set out in clause 6.3. These are known as ‘Late Bets’. 6.4.2. If, because of technical failure and/or malfunction and/or human error and/or oversight, we accept a Late Bet, that Bet shall be void and we shall: (a) void that Bet in our records as soon as we become aware of the error; (b) inform you as soon as reasonably practicable thereafter; and (c) return to you the amount you staked on that Bet. 6.4.3. A Manifest Pricing Error is a price quoted to you that, by reason of technical failure and/or malfunction and/or human error and/or oversight is materially different from the price that, but for the relevant technical failure and/or malfunction and/or human error and/or oversight we would have quoted to you in the ordinary course of our business. The difference between the price that we have quoted to you and the price we would have quoted to you in the ordinary course of business will be material if it is equivalent to more than two times the normal Spread (or twice the normal Fixed Odds) in relation to the Market in question, save where - (a) the price quoted reflects an inaccurate “so far” figure or (b) the price quoted reflects an inaccurate “favourite” (a “favourite” will be deemed inaccurate if it is not quoted as “favourite” in the general betting market) - in which case any difference at all between the price quoted and the price quoted to you in the normal course of business will be material. 6.4.4. If we accept an offer from you to open or close a Bet based upon a Manifest Pricing Error that Bet shall be void and we shall: (a) void that Bet in our records as soon as we become aware of the error; (b) inform you as soon as reasonably practicable thereafter; (c) return to you the amount you staked on that Bet. 7.1. Spread betting is a form of gambling where you can lose more than you initially Bet or deposit. This means Spread Betting will not be suitable for everyone nor suit everyone's financial situation. You should ensure that you are aware and fully understand the risks associated with Spread Betting before entering into an agreement with us and especially before opening a Spread Bet. In particular, ensure that you have carefully read the Risk Disclosure Notice set out in clause 7.2 below before you start Spread Betting with us. If you have any queries concerning the contents of the Risk Disclosure Notice or any other aspect of our Service, you should contact us before you start Spread Betting. Please remember you Bet with us entirely at your own risk. Please therefore remember to Bet responsibly. This risk disclosure notice is provided to you because you are proposing to enter into Spread Bets with us. This notice cannot and does not disclose or explain all the risks and other aspects involved in Spread Betting and is only a summary of some important aspects. You should not engage in Spread Betting unless and until you fully understand how Spread Betting works and the risks involved. We shall trade with you under these Rules. You should take time to read these before you commence Spread Betting with us. Should you have any queries concerning the meaning and/or effect of any provision of our service you should telephone customer services who will endeavour to answer your query for you. Carefully consider whether Spread Betting is suitable for you in light of your circumstances and financial resources. The amount that you may win or lose will vary according to the extent of the fluctuations in the events of the underlying event on which the Spread Bet is based instead of a fixed and predetermined sum as when a Fixed- Odds Bet is placed. a. There is a high degree of ‘gearing’ in this type of betting. This stems from the margining system applicable to such Spread Bets, which generally involves a comparatively modest deposit (a Volatility Requirement) in terms of the overall contract value, so that a relatively small movement in the underlying market can have a disproportionately dramatic effect on your Spread Bet. b. If the underlying market movement is in your favour, you may achieve a good profit, but an equally small adverse market movement can also quickly result in the loss of your entire deposit and may also expose you to a large additional loss. d. Whether you hold a deposit or trading facility Account, you may be called upon to deposit margin at short notice to maintain your Spread Bet. If you do not provide such additional funds within the time required, your Spread Bet may be closed and you will be liable for any resulting loss. 7.3.1. You acknowledge that it is your responsibility to monitor your Available Balance to ensure there is no deficit. You can monitor your Available Balance via our Website or by calling us. 7.3.2. You further acknowledge and agree that if your Account has a deficit Available Balance, we shall be entitled at our sole discretion to require that you deposit cash (“Margin”) into your Account in a very short timeframe to remove that deficit. This is called making a Margin call or calling for Margin (explained further in clause 7.4 below). 7.3.3. Margin is the sum of money that we require from you to fund your open Spread Bet or Spread Bets if either (i) as a result of movement adverse to that Spread Bet or Spread Bets your Account has deficit Available Balance, or (ii) the Volatility Factor in respect of any of your open Bets increases while they are open (see clause 7.3.6) resulting in your Account having a deficit Available Balance. The amount of Margin that we shall be entitled to request from you will be a sum sufficient to remove the deficit at the time that the Margin call is made. We are not obliged to make Margin calls and assume no responsibility for monitoring your Account. It is your responsibility to ascertain whether your Account has a deficit Available Balance and to take such steps to remove any deficit that arises. You can do so by paying funds into your Account and/or by closing Spread Bets. If we ask you for a lesser sum then this is the sum that will be due from you under that Margin call. If as a result of an error made by us, we ask you for a sum greater than the sum that we are entitled to demand, you shall only be obliged to pay the true sum by which your Account was in deficit at that time, and we will return to you any amount that you have paid in excess of that amount on request. 7.3.4. Credit and/or debit balances on any other Accounts that you may hold with us (whether they be deposit or credit Accounts) are irrelevant for the purposes of calculating the deficit standing to your Account. 7.3.5. The fact that we call for a sum in a Margin call does not mean that your losses are or will be limited to that sum. If we choose not to make a Margin call in circumstances where we are entitled to do so this will not prevent us from making a Margin call at a later date in respect of the Spread Bet(s) open on your Account at the time that our entitlement first arose or in respect of subsequent Spread Bet(s) placed by you on your Account so long as at the time of making the Margin call your Account has a negative Available Balance. 7.3.6. We may from time to time to increase without notice the Volatility Factors for one or more of the Indices we offer. Such an increase or increases will apply to all Spread Bets relating to that Index that are opened after it is brought into effect, but will only apply to Spread Bets that are already open in the following circumstances: (i) if there occurs (or we reasonably anticipate the occurrence of) substantial volatility in one or more of our Markets and we reasonably consider the increase or increases to be necessary for the protection of our financial interests; and/or (ii) if, having regard to changes in your financial position and/or having regard to the losses being sustained on your open positions, we reasonably consider the increase or increases to be necessary for the protection of our financial interests. 7.4.1. Unless we otherwise expressly inform you otherwise, Margins must be paid within five Business Days of the date when the Margin call is first communicated to you. All time limits expire at 5.30p.m. on the last complete Business Day. This means that if (for example) a Margin call is communicated to you at 12 noon on Monday 1 June, the relevant Margin must be paid no later than 5.30p.m. on Monday 8 June. By email: If we send an email to you at the email address you provided to us, the Margin call will be deemed to have been communicated to you one minute after we send it. By First Class Post: If we send you a letter by first class post to the address you provided to us, the Margin call will be deemed to have been communicated to you at 9am on the second Business Day after we posted such letter. This will be the case unless we are made aware of a disruption to the postal service. In that instance, we will contact you by alternative means. By telephone: If we speak to you personally, a Margin call is communicated to you on the first occasion that we ask you for the relevant Margin. If we are unable to speak to you and a person and/or an automated message taking service offers to take a message for you, we will leave a message asking you to contact us, in order to avoid embarrassment. The date and time when we leave such message will be the date and time the Margin call will be deemed to have been communicated to you. For the avoidance of doubt, you should assume that any telephone message left by us for you is a Margin call and you should therefore contact us immediately to discover the deficit in your Account balance and make the necessary payment. 7.4.3. It is therefore important that we have up-to-date contact details for you as set out in clause 15. 7.5.2. at any time after the Margin call is made your Available Balance comes out of deficit, whether because of a payment made by you and/or for any other reason. 7.6. Margin may be paid in accordance with any of the methods detailed in clause 10.1 below. Margin may only be paid by you in the form of cleared funds into our bank account. For the avoidance of doubt, if any cheque provided by you to us or any other payment instruction (including without limitation in respect of any debit or credit card payment) is declined, your obligation to make a payment to us will not be discharged. 7.7. If, at any time, Margin is due from you in respect of any one or more of your open Spread Bets and there are also unpaid losses on your Account, whether or not the time for payment of these losses has expired, we shall be entitled to apply any money paid by you to these unpaid losses and to require that the losses be paid in full before any money received from you is applied to the payment of Margin. You also acknowledge and agree that we may apply any funds standing to the credit of your Account to the payment of Margin due on your open Spread Bets. 7.8.1. For all Spread Bets, whether placed over the telephone or via mobile device, other handheld internet-enabled device or online via our Website (together “our online trading platforms”), we will quote a higher and lower figure for each Market we offer. The difference between the two figures is our "Spread". Whether you are trading by telephone or via one of our online trading platforms, quotes are not offers by us to enter into a Spread Bet with you at the stated price. They are indicative only and due to technological limitations (for example, internet data transfer protocols) may not be the most up-to-date price. A Spread Bet will be initiated by you by offering to open or close a Spread Bet with us at the level of our quote. 7.8.2. Your offer to open or close a Spread Bet at a price quoted to you must be given to our trader during the same telephone conversation in which the quote was given. We are under no obligation to repeat the quote in a subsequent conversation. 7.8.3. We do not guarantee the size of the Spread at any time, or that it will remain the same during the life of a Spread Bet. When you close a Spread Bet the Spread may be larger or smaller than the Spread quoted when the Spread Bet was opened. 7.8.4. Certain Spread Bets are subject to a maximum limit ("Maximum Make-up") or a minimum level (which may be a negative amount) ("Minimum Make- up"). We do not normally offer a stop level on an Index where we have both a Maximum Make-up and Minimum Make-up, as these Minimum and Maximum Make-ups provide a natural limit to your exposure to both losses and profits. For Stop Level Accounts your maximum exposure will be limited to the smaller of (i) the stop loss level and (ii) the difference between either the price and the Minimum Make-up or the price and the Maximum Make-up, depending on whether you are buying or selling. Note that the initial Minimum Make-up figure will be replaced by the ‘so far’ value when relevant (e.g. for Total Goals the Minimum Make-up figure is 0 but is replaced by 1 once the so far score is 1-0, etc.). You acknowledge it is your responsibility to make yourself aware of any "stop win" and/or "stop loss" stop level or any Maximum Make-up and/or Minimum Make-up figure applicable to your Spread Bets. If you are in any doubt, please contact our Customer Services team. 7.9.1. You will open a Spread Bet by either: a) "buying", which means you are wagering that an Index will go up within a specified period (an "up" Spread Bet) or; b) "selling", which means you are wagering that an Index will go down within a specified period (a "down" Spread Bet). A Spread Bet must be made for a specified amount per point of movement in the relevant Index; this is your stake. 7.9.2. When you open an "up" Spread Bet, the opening level will be the higher figure quoted by us for the relevant Index. When you open a "down" Spread Bet, the opening level will be the lower figure quoted by us for the relevant Index. 7.10.1. Subject to our agreement to close the Spread Bet in question, you may close a Spread Bet at any time prior to the expiry date for the relevant Index by entering into a further Spread Bet in respect of the same Index prior to the expiry date, but in the opposite direction. The amount you will win or lose will crystallise when each Spread Bet is closed. 7.10.2. We will close out multiple Spread Bets in respect of the same Index on a ‘first in first out’ basis. In other words, your request to close a Spread Bet where you have more than one or more open Spread Bets on the same Index will be applied to the first Spread Bet you opened chronologically on that Index. 7.10.3. We are not obliged to provide you with a quote that will enable you to close an open Spread Bet on a Market before expiry. Save for times that restricted trading times apply (this information is whenever practicable provided in the description of the relevant Market), if you have an open Spread Bet on a Market we will use reasonable endeavours during the trading hours for that Market to provide you with a quote that will enable you to close it. Should your offer to close a Spread Bet online be declined, you should telephone our trading desk and ask for a price that may enable you to close the Spread Bet. 7.11.1. You will pay us the difference between the opening level of the Spread Bet and the closing level of the Spread Bet multiplied by your stake if: a) the Spread Bet is a "down" Spread Bet and the closing level of the Spread Bet is higher than the opening level of the Spread Bet; or b) an "up" Bet and the closing level of the Bet is lower than the opening level of the Bet. 7.11.2. We will pay you the difference between the opening level of the Spread Bet and the closing level of the Spread Bet multiplied by your stake if the Spread Bet is: a) a "down" Spread Bet and the closing level of the Spread Bet is lower than the opening level of the Spread Bet; and b) an "up" Spread Bet and the closing level of the Spread Bet is higher than the opening level of the Spread Bet. 7.12.1. As well as using your Account to Bet on real-life events, you can also use it to place Spread Bets on our virtual games (the ‘Games’). The Games utilise an independently audited random number generator’ which randomly generates a sequence of numbers, which correspond to cricket scores, goals scored etc., used in the Games. The scores you Spread Bet on are therefore entirely virtual and have no relationship to any sporting or other fixture/event that actually takes place. 7.12.2. If, in relation to any Spread Bet placed by you, the generation of random numbers is interfered with or otherwise fails by reason of any technical failure and/or malfunction and/or human error and/or oversight, that Spread Bet shall be void. 7.12.3. If for any reason a Spread Bet placed by you does not reach a visual conclusion due to a technological error or as a result of disconnection, the Spread Bet will auto-settle within half an hour of the Spread Bet being recorded in our database. Any profit or loss relating to that Spread Bet will be applied to your Account. 7.12.4. Please note that whichever Spread Betting Account type you possess the profit or loss on any Spread Bets on Games you may place are limited by a Maximum Make-up and Minimum Make-up (see clause 7.8.4 above). 8.1. We also offer the facility for you to place wagers on an online casino (the “Casino”) which is operated independently from us by a third-party gambling operator EveryMatrix Software Ltd (“EveryMatrix”), a company licensed and regulated in the UK by the Gambling Commission (licence number: 000-039383-R-319384-002) in respect of customers based in Great Britain and by EveryMatrix N.V. (“EveryMatrix”), a company licensed and regulated by the central government of the Netherlands Antilles (licence number #8048/JAZ2010-001) in respect of customers based outside of Great Britain. Your wagers in the Casino will be governed by EveryMatrix’s Terms and Conditions in force from time to time. You will be required to accept and agree to be bound by EveryMatrix’s Casino Terms and Conditions prior to your placing a wager in the Casino. A copy of EveryMatrix’s Casino Terms and Conditions in force from time to time will be published on the Sporting Index website. 8.2. Save for where we are fraudulent or negligent in managing the transfer of cash funds from your Sporting Index Account to your Casino wallet and from your Casino wallet to your Sporting Index Account, we will not be responsible or liable for your wagering in the Casino or in relation to the operation of the Casino generally. 8.4. In order to place wagers at the Casino, you will be required to (i) accept and agree to be bound by EasyMatrix's Casino Terms and Conditions in force from time to time; and (ii) transfer available cash funds from your Sporting Index Account into a separate linked Casino wallet. 8.5. Cash funds may not be deposited directly into your Casino wallet from a bank account or card. Only the sum of (i) any money deposited into your account plus (ii) any winnings from closed Bets minus (iii) any Volatility Requirement will be available to you to transfer to your Casino wallet. Your trading facility (if any) cannot be used for the purposes of funding your Casino wallet. 8.6. The Available Balance on your Sporting Index Account will be immediately reduced by the amount of the cash funds transferred into your Casino wallet. If you have a positive cash balance in your Casino wallet you may transfer those funds back to your Sporting Index Account at any time. Any such cash funds that are returned to your Sporting Index Account will form part of your Available Balance immediately those funds are received into your Sporting Index Account. 8.7. You acknowledge and agree that if your Sporting Index Account has a deficit Available Balance, and at the same time your Casino wallet has a positive cash balance, we reserve the right to transfer funds from your Casino wallet back to your Sporting Index Account up to the maximum of the positive cash balance figure without prior notice to you in order to remove or part remove the deficit on your Available Balance. In such circumstances, we will notify you by way of a journal entry on your Account. 8.8. Funds may not be withdrawn directly from your Casino wallet to a bank account or card. If you wish to withdraw a positive cash balance from your Casino wallet, the funds must first be transferred back to your Sporting Index Account. You may then request a withdrawal to your bank Account or registered card. We will carry out your request to the extent that the funds that you have requested be remitted to your bank account or card are not being used to support your open Bets. 9.1. You are able to access your current statements and previous statements online through our Website which also provides a print from the screen facility. 9.2. Depending on the type of Account you operate, you will receive a weekly or fortnightly email on Wednesdays that provides a link to our Website where you can view all Bets you have made and other Account activity up to an including the preceding Tuesday. This practice may be varied at any time in the future. If we do amend how you are to receive statements, we will notify you of any changes made. 9.3. You should notify us immediately if your statement is inaccurate or if you have any queries concerning the contents. If a statement contains an error or is otherwise inaccurate, that error will not affect the validity of the relevant Bet or the betting instruction. 9.4. 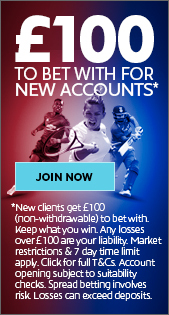 All your opening and closing Bets can be viewed by looking at the Account history section on our Website. We strongly recommend that you keep your own records of your Bets including details of the times, dates, stake, market and all other relevant details of your Bets. These details may be important if there is a dispute. 10.1. If you owe us money you may pay by direct bank transfer, credit or debit cards and banker’s draft or any other electronic payment methods that we currently accept. 10.2. Any payments made by you into our bank account must contain your Account reference so that we may identify the payment as having been made by you. 10.3. External payment providers may from time to time restrict the use of credit or debit cards, beyond the control of Sporting Index. If you are affected by any such card blocking please ensure you have alternative means of payment available. 10.4. As a rule, we do not accept payments from third parties. Exceptions are at the discretion of Sporting Index’s Compliance department after enhanced due diligence has been carried out on the third party and we are satisfied as to their relationship to you. 10.5. Any debit or credit entries appearing on your card statements will be identifiable by the words ‘SPIN,’. 10.6. Where the closing of a Bet results in a loss to you, the cash sum lost will be debited to the cash balance of your Account. 10.7. If we close your Bet and this results in your Account having a negative cash balance, you must, within three (3) Business Days of the Bet being closed, pay us a sum sufficient to clear that negative balance. This obligation arises notwithstanding that you may have a positive Available Balance. 10.8. Negative cash balances may also arise as a result of other debits to the Account (e.g. dishonoured cheques or debit/credit card chargebacks). 10.9. A failure to pay us within five (5) Business Days is an Event of Default. Additionally, if such balances are not paid within five (5) Business Days we shall be entitled to charge interest on any balance due at the rate of 1 per cent per month, compounded monthly. 10.10. You should not wait until you receive a statement of Account from us before settling any negative cash balance. You can check your Account balance at any time via the Website. We suggest you do this regularly or each time that an open Bet of yours is closed. 10.11. You are reminded that any trading facility limit that you may have cannot be set off against losses on closed Bets. 10.12. We shall be entitled to recover from you the costs and expenses (including without limitation all legal costs together with third party expenses and our internal management charges) that we reasonably and rightfully incur, both before and after the commencement of legal proceedings, in seeking to recover any unpaid negative cash balance from you. Our internal management charges are set at £100 per hour for all categories of staff, including directors. In addition to any legal proceedings we may commence against you, we shall be entitled to lodge a default with a credit reference agency. Please note that a default may negatively affect your credit rating. 10.13.1. All Accounts held with us are operated, and statements are to be settled, on a net basis, whereby all amounts of any kind payable by you to us are set off against all amounts of any kind payable by us to you. You cannot set off any trading facility limit against sums payable by you. 10.13.2. For the purposes of this clause ‘Accounts held with us’ includes: (a) any Account described within these Rules; and (b) any and/or any other account held with any company, business, trading name or other trading entity that is wholly or partly owned by the Sporting Index group of companies (whether by ownership of shares or otherwise), whether or not it trades under a name that includes the words ‘Sporting Index’. 10.14.1. If you have a positive cash balance you may request that we transfer it or any part of it that is not being used to support your open Bets, by calling us or writing to us or via our online platforms. We will pay money to you within three (3) Business Days of us approving your request by sending it directly into your bank account via a bank transfer or via your debit card. We will not unreasonably withhold or delay any such approval of your request. For the avoidance of doubt, we will not action a request to transfer cash back to you if that cash is being used to support your open Bets. 10.14.2. If we agree to pay money owing to you by bank transfer, you will be responsible for ensuring that we are in possession of your up-to-date bank details (i.e. your full name, Account number and sort code. We may also request your IBAN number). 10.14.3. You must inform us of any change in your bank details in writing which may be by email. 10.14.4. We shall not be responsible for any losses that you may incur as a direct result of your failure to advise us of your up-to-date bank details. 10.15.1. You may authorise us to make automatic payments/withdrawals from your debit card as and when payment becomes due to us. Typically, your debit card will be automatically debited or credited (as appropriate) at the same time that your latest statement of Account is posted online. We will inform you if there is a reason this debit/credit is delayed. 10.15.2. In the case of a trading facility Account, the sum debited or credited will be equivalent to the amount that is required to return your Account balance to zero. 10.15.3. In the case of a deposit Account, the sum debited or credited will be such amount as will return the balance of the Account to its original paid-up deposit. 10.15.4. Should you believe that any sum has been wrongly debited we recommend you first contact us directly to challenge the debit, rather than raise it with your card issuer. 10.15.5. If, having dealt with us, you are not satisfied that the amount has been debited correctly, you may inform your card issuer of the dispute and your debit card may be re- credited. In that event, we shall require you to make alternative arrangements to agree and settle direct any amount due to us. 10.15.6. If you have elected for your Account to be managed in this way, you must advise us promptly of any change in the details of your debit card including (but not limited to) its number, its issue number, and its expiry date. 10.15.7. We may terminate the debit card arrangement we have with you at any time on written notice to you. 10.15.8. You will remain liable to pay any losses on your Account if we do not receive payment from your card issuer; in particular, you will remain liable to repay any deductions from your cash Account, which are attributable to 'chargebacks’. 10.15.9. Chargebacks can occur if: (a) you have used an expired card; (b) your cardholder or your card issuing business disputes the transaction; (c) it is believed the transactions have been made fraudulently; (d) the transaction has been accidentally duplicated, or (e) the transaction was not authorised. 10.15.10. We may treat a chargeback as (a) a debt upon which we may charge interest, or (b) as an Event of Default if we reasonably believe that you caused the chargeback as an unjustified means of avoiding or delaying payment due to us (see clause 12 for further information on Events of Default). If we deem a chargeback to be an Event of Default this may result in the closure of your open Bets and/or voiding of existing Bets and/or Account suspension and/or Account closure. 10.15.11. It is therefore important that you communicate any query/dispute to us in the first instance before requesting a ‘chargeback’ from your card issuer. This will give us an opportunity to investigate and to resolve the matter. 10.15.12. You may cancel or vary our authority to take payments from your card by notice of cancellation or variation to us at any time. It is not necessary for you to notify your card issuer of such cancellation or variation. 10.15.13. Please note that we are under no obligation to accept such a payment arrangement and you are under no obligation to allow us to debit or credit your card, as other means of settlement are available. 11.1. Any money that we receive from you or held by us on your behalf in relation to your Spread Betting will be protected and treated in accordance with the FCA’s Client Money Rules and held separate from company funds in segregated trust accounts. 11.2. In the event that there has been no movement on your Spread Betting Account balance for a period of at least six years and we are unable to trace you despite having taken reasonable steps to do so, you agree that we may cease to treat your money as “client money” and may transfer your money into another account. 11.3. In the unlikely event that we do not meet our obligations to you in respect of Spread Bets, the Financial Services Compensation Scheme ('FSCS') operated by the FCA may be available to you. The FSCS will look at your profile and the circumstances of the claim. Further information about compensation scheme arrangements is available on request or from the FSCS (www.fscs. org.uk). 11.4. We are required by our Gambling Commission licence to inform you about what happens to funds which we hold on account for you in relation to your Fixed Odds Betting and the extent to which your funds are protected in the event of insolvency http://www.gamblingcommission.gov.uk/for-the-public/Your-rights/Protection-of-customer-funds.aspx. 11.5. Any money that we receive from you or held by us on your behalf in relation to your Fixed Odds Betting will be held separate from our company funds in segregated trust accounts. This means steps have been taken to ensure that your Fixed Odds Betting funds will be repaid to you in the event of our insolvency. This arrangement meets the Gambling Commission’s requirements for the protection of customer funds at the level: medium protection. 11.6. You will not be entitled to receive interest on any of the money that we hold for you. 12.1.14. You move abroad and do not inform us of this fact prior to opening a Bet with us. 12.1.17. Any event occurs that is described elsewhere in these Rules as an Event of Default. 12.2.1. If an Event of Default occurs, we shall be immediately entitled but not obliged, to close all or any of your open Bets whether they are in loss or in profit, at our then prevailing market price, or if there is none, at a price that is fair and reasonable. If there is an Event of Default our right to close all or any of your Bets that are open at that time will apply for as long as long as those Bets remain open. 12.2.2. If an Event of Default has not occurred but we reasonably believe that it is likely to occur we shall be immediately entitled to close all or any of your open Bets whether they are in loss or in profit, at our then prevailing market price, or if there is none, at a price that is fair and reasonable. 12.2.3. We will not be under any obligation to give you any opportunity to remedy an Event of Default before we close your Bets. If, however, we do choose to do so, this in itself will not waive the Event of Default or our rights in relation to it. 13.1. OVERALL MAXIMUM DAILY PAYOUT LIMIT: Subject to any lower limits that may apply in respect of any particular event or Bet type (as set out below), the overall maximum pay-out to any individual customer for all winning Bets placed in any calendar day is £500,000. If you place winning Bets that exceed this daily limit, your total winnings will be reduced to £500,000 and the remainder of your winnings in excess of £500,000 will be forfeited by you. Once this maximum pay-out has been reached, we shall also void any of your remaining Bets for the calendar day in question. 13.2. GAMES MAXIMUM DAILY PAYOUT LIMIT: The maximum pay-out (being the total winnings) per individual Game to any individual customer in any calendar day is £50,000. The maximum pay- out in total to any individual customer in any 24-hour period, on one or more of such Games, is £100,000 (one hundred thousand pounds’ sterling). Once the maximum pay-outs set out above have been reached, we shall void any further Games Bets on your Account. 13.3. FIXED ODDS MAXIMUM DAILY PAYOUT LIMIT The maximum pay-outs on any Fixed Odds Bet, or Bets, including Ante-Post in any calendar day, are detailed below. The maximum pay-out limits apply to an individual event. The limits below refer to the total return on the Fixed Odds Bet, excluding the original stake. o All other football: £100,000. o Racing in all other countries not covered by a Full Service: £10,000. In the event that a multiple Fixed Odds Bet has been placed which involves events with different maximum pay-out limits, the lowest limit will apply. 13.4. All maximum pay-out limits apply to any one customer, or, where we have genuine reason to believe a group of customers have been acting together, to a group of customers. In relation to the latter, where a group of customers who have backed the same combination of selections, including where placed in a series of Bets, at a range of prices, over a number of days using different Betting Accounts in apparent collusion, we reserve the right to limit the total payment of all those Bets combined to the one single maximum pay-out. 13.5. Please be aware that on certain occasions your Bet stake may mean that you have the chance to win more than the maximum pay-outs set out in this clause 13. Even where your approved Bet stake may give you the opportunity to win a higher amount, you agree that we shall only be obliged to pay to you the maximum pay-outs set out in this clause. 13.6. You will be entitled to the return of any money deposited with us in relation to any Bets voided pursuant to this clause 13. 14.1. Unless we agree with you otherwise we will not charge you commission or any fee for our services. We will instead seek to make our profit on our spread and/or in the stake you agree to pay us at the time we accept any Bet that you place. We do, however, reserve the right to make default charges in the event that you fail to pay a negative cash balance when due from you. These default charges are explained further in clauses 10.9-10.12 above. 14.2. You are responsible for any taxes (UK or foreign) that may arise now or at any time in the future in relation to your Betting with us. If you are in any doubt as to whether you are liable for tax, you should seek specialist tax advice. 14.3. We do not under current legislation charge UK betting duty to our clients on any Bet. This burden is met by us and paid direct to the relevant authorities. Changes in the basis of taxation or other factors may cause these policies to be altered. 15.1. You must inform us immediately of any changes to your contact details. You may do so by telephone; email; or (where available) via an electronic form that may be found on our Website for that purpose. 15.2. We will not be held responsible for correspondence sent to you/messages left for you at a previous postal address, email address or telephone number, if the correspondence was sent to/ message left at the address or number we have for you on record, and you have not notified us in writing of any changes to that address or number. 15.3. It is your responsibility to notify us of any significant time that may be spent away from your normal contact points, whether overseas or elsewhere in the United Kingdom. Alternative contact details must be provided. The address you provide us with at any given time should be (a) your primary home address, (b) current, (c) accurate. If you move abroad, you must tell us immediately. Failure to do so prior to opening a Bet with us will constitute an Event of Default and may lead to your open Bet(s) being closed out. 16.2. Where we have reasonable grounds to believe that (a) there has been any Prohibited Activity in respect of your Account, whether by you personally or by a third party or (b) that an Account has been opened by a third party, and not for the named Account holder’s use, we may suspend the Account in question for the purposes of carrying out an investigation. When we suspend the Account we reserve the right to void any winnings (in respect only of betting integrity issues, such as fixing, use of insider information or breach of sporting rules) or to close all or any open Bets on the Account at our prices prevailing at the time of closing. You will remain liable for any losses that accrue to your Account as a result of the closing of a Bet under this clause regardless of the outcome of any investigation. 16.3. We shall not release any cash balance on your Account if we have reasonable grounds to suspect you of any Prohibited Activity. 16.4. Combating Prohibited Activity, and particularly fraudulent activity, is important to us and robust controls are embedded to prevent external fraud or corruption or betting integrity issues. We have advanced fraud prevention capability and we work closely with the police, external agencies, industry forums, sports governing bodies and government agencies to investigate and report Prohibited Activity. 16.5. Should a payment by you, whether by debit or credit card or otherwise, subsequently be dishonoured or charged-back or otherwise debited from your Account, we reserve the right to pursue you for any losses and/or to void any winnings resulting from Bets that were accepted by us based on that payment. 16.6. You will not knowingly disguise or interfere in any way with the IP address of the computer or internet- enabled device you are using to access the Website or otherwise take steps to prevent us from correctly identifying your device or the actual IP address of the computer you are using whilst accessing the Website. 16.7. You shall be liable to pay us, on demand, all costs, charges or losses sustained or liabilities incurred by us (including any direct, indirect or consequential losses, any loss of profit and loss of reputation) arising directly or indirectly from your Prohibited Activity. 16.8. We reserve the right to seek the fullest civil and criminal sanctions against any Customer involved in Prohibited Activity and, where we have reasonable grounds for suspicion and without notice to you, to notify the relevant regulatory, sports governing body or law enforcement authorities where appropriate. As a matter of business practice, we endeavour to keep you informed, whether through the internet, Website, telephonically, through text services, newspaper advertisements, promotional materials or otherwise, of the status from time to time of certain sporting events around which we are making Markets, and, on occasion, of prior historical statistics relevant to such events or markets. While we offer such information in good faith, we do so without any responsibility and make no claim as to the accuracy or otherwise of any such information. You are warned that any information given to you by us may be inaccurate and you promise that in making decisions that relate to your Bet(s) you will rely solely on your own information (obtained from sources other than us) and judgement. 18.1. The agreement between us and you (comprised in the Rules) may be terminated by: (i) you giving us notice by email to enquiries@sportingindex.com, which shall take effect immediately, unless otherwise stated in the notice and (ii) us giving you written notice, which shall take effect immediately, unless otherwise stated in the notice (however see clause 18.2) of our intention to terminate. Notice of either party to close your Account will be deemed to include notice of termination of the Rules and vice versa. 18.2. We will give you notice of termination unless we feel it is detrimental to an internal or external investigation or we cannot contact you on the details you have provided. 18.3. Termination for any reason shall not affect any rights or obligations of either of us which accrued prior to termination and, in particular, shall not limit or restrict your obligation to compensate us in relation to any act, event, or omission occurring prior to termination (whether or not we have made any demand or the liability has arisen prior to termination). Closure does not affect your rights to complain. 18.4. Termination will give rise to closure of your Account. Upon closure of your Account under this clause, amounts outstanding on your Account will become due immediately. Any long-term Bets will remain open until they are closed by you, or left to expire naturally and in any event, are expressly governed by these terms and conditions. The provisions regarding Margin will continue to apply whilst you have open Bets. Once the open Bets have expired monies are payable immediately by either party. 18.5. We will accept your cancellation in writing, which includes email correspondence to this address enquiries@sportingindex.com or over the phone (08000 969607 or ex-UK +44 20 7840 4050). Please note that we may withdraw our agreement to accept oral cancellations at any time in the future. We will notify you if this change is instituted. 18.6.1. On receipt of a certified copy of a Death Certificate or other news of a customer’s death that we in good faith believe to be true, we will within a reasonable time close all positions on the deceased’s Account at our prevailing price, or if none at a price that is fair and reasonable. 18.6.2. Payment will be issued for any credit balance (payable to personal representatives of the deceased) or demand made on the estate for payment of any debit balance. 19.2. All telephone calls you make to Sporting Index’s landlines are recorded so that we ensure we meet our regulatory obligations and for your protection. These recordings are our property and may be used by us in the case of a dispute. You accept that such records constitute evidence of communications between us. It may be necessary from time to time to suspend one or more of our online trading platforms or telephone betting facilities in order to carry out upgrades, repairs and maintenance. We shall endeavour to give you prior notice of any such occurrences, but this may not always be reasonably practicable. 21.1. We do not in any way exclude or limit: (a) our liability for negligence or the negligence of our agents (b) our liability for fraud or fraudulent misrepresentation or wilful default (c) any liability that cannot be excluded or limited under the Financial Services and Markets Act 2000 or other applicable legislation. 21.2. If we fail to comply with these Rules, we will be responsible for any loss or damage you suffer that is a foreseeable result of our breach of these Rules or our negligence, but we will not be responsible for any loss or damage that is not foreseeable. Loss or damage is foreseeable if it is an obvious consequence of our breach or if it was contemplated by you and us at the time that you opened an Account with us. 21.3.4. as a result of the unauthorised access to our Services by a third party or the corruption of data sent by you to us or by us to you. 21.4. We take reasonable precautions to ensure that data generated and used by us has been swept for viruses, but it is your responsibility to ensure that the transmission, opening or use of such data to you will not adversely affect your systems or data. You should ensure that your computer has up to date virus detection software and that you carry out such virus and other checks as you consider appropriate. No responsibility is accepted by us for losses that you may suffer as a result of viruses on your device which includes but is not limited to infection with malware, Trojan virus and keylogging software, except where such viruses are caused by our negligence or wilful default. 21.5. Each provision of this clause operates separately. If any provision is disallowed or found to be ineffective by any Court or regulatory body the other provisions will continue to apply. 22.1. We may amend or add to the Rules from time to time. We will publish in advance on the Website any new version of the Rules and specify the date that the new versions(s) will become effective (the “Effective Date”). From the Effective Date the new version(s) will supersede the previous version(s). Any bespoke agreement will, however, be unaffected by any amendment or addition to these Rules. 22.2. We shall use reasonable endeavours to draw material changes to the Rules to your attention, by email, if you have supplied us with an email address, or by post, if you have not. For minor or insubstantial changes, we may not give you any notice of such changes by email or post, so you are advised to review the Rules on a regular basis. 22.3. The new version(s) of the Rules will apply to all Bets placed with us after the Effective Date. This is the case even if for whatever reason you do not receive notice from us drawing the new version(s) to your attention. Existing Bets will continue to be governed by the previous version(s) until they are closed or expire naturally. 23.1. We may, in our reasonable opinion, determine that an emergency or an exceptional market condition exists (a "Force Majeure Event"), in which case we will, as soon as is reasonably practicable take reasonable steps to inform you of this by email, if you have provided us with an email address, and by post or telephone, if not. 23.2.3. the occurrence of an excessive movement in the level of any of our prices and/ or any corresponding Market or our anticipation (acting reasonably) of the occurrence of such a movement prevents us from offering or continuing to offer one or more of our Markets at all or in a manner that we reasonably consider to be a fair betting market. 23.3.5. suspend or modify the application of any or all of the Rules. 23.3.6. Where we give effect to any of the above steps without giving you prior notice, we shall inform you of the action taken as soon as reasonably practicable thereafter. 24.1. No failure or delay in exercising or relaxation by either of us of any provision of these Rules shall operate as a general waiver of the relevant provision and no single or partial exercise of any provision of these Rules shall preclude any other or further exercise of other provisions of these Rules. 24.2. In order for a bespoke agreement between you and us to come into effect any such agreement must be in writing and be signed by one of our directors. 24.3. We shall be entitled (in addition to our existing rights in law) to effect service upon you of any legal proceedings or notices, including for this purpose a statutory demand, by email, to the email address we hold on record for you, and any such communication will be deemed to have been received by you one (1) minute after it was sent. 24.4. If any provision of these Rules is held by any competent authority to be invalid or unenforceable in whole or in part the validity of the other provisions of these Rules and any remainder of the provision in question shall not be affected thereby. In such circumstances the part deemed invalid or unenforceable shall be amended to the least extent necessary to render the provision enforceable, and in the event the parties cannot agree on such amendment, they shall submit their disagreement to the court for adjudication. 24.5. Headings in these Rules shall not affect its interpretation and are for ease of reference only. References in these Rules to the singular include the plural. 24.6. All times referred to in any document or communication made by us or our staff relate to London (United Kingdom) time unless we specify otherwise. 24.7. Where these Rules are issued in a language other than in English, the English language version shall take precedence in the event of any conflict. 24.8. We may assign our rights and obligations under these Rules to a third party (in whole or part) subject to obtaining FCA and/or GC approval (as required). Notice of any such assignment will be given to you. Your rights under these Rules will not be prejudiced by the assignment. 24.9. These Rules are between, and are not intended to give rights to anyone other than, you and us and do not create any third-party beneficiary rights. No third party will have any rights to enforce any provision of these Terms. 24.10. These Rules are intended to contain all the terms of our agreement with you in relation to your Betting. If a member of staff has made a statement to you that is not covered by or is at variance with any provision of these Rules you should inform Customer Services immediately before you commence Betting with us. We warn you that the law favours written terms and it is therefore important that you bring any such statements to our attention before you commence your Betting with us. These Rules and any Bet placed under them shall be governed by the laws of England and Wales. Any dispute or claim arising in connection with these Rules or their formation (including non-contractual disputes or claims) will be subject to the exclusive jurisdiction of the courts of England and Wales. 26.1. The majority of people have a great time gambling and do so responsibly, unfortunately, for a small number of people, gambling can become a problem. 26.2. We offer tools such as time-outs, reality checks and deposit limits to assist you with keeping your gambling under control. We also offer self-exclusion facilities that stop you from gambling for a specific period of time if you feel that your gambling is out of control. We are also signed up to the GAMSTOP self-exclusion service provided by the National Online Exclusion Scheme Limited. You can access GAMSTOP by visiting www.gamstop.co.uk or via our Responsible Gambling page. 26.3. The GAMSTOP self-exclusion service works by matching the information we hold about you with the information you provide to GAMSTOP. It is your responsibility to provide both us and GAMSTOP with up to date, complete and accurate information in order for the GAMSTOP service to function properly. 26.4. If you feel that you are no longer gambling for fun, or you just wish to obtain more information about the help available to you or your loved ones please visit our Responsible Gambling page or contact our Customer Services department. “Bet” means a Spread Bet or a Fixed Odds Bet and “Betting” shall be construed accordingly. “Fixed Odds Bet” means a transaction within the meaning of Part 1, Section 9 of the Gambling Act 2015 and includes binary bets. “GC” means the GB Gambling Commission or any successor body. “Index” means a specific individual index on which we accept Bets on a Market. “Website” means www.sportingindex. com, lite.sportingindex.com, mobile.sportingindex.com, and games.sportingindex.com or any other website or platform operated or controlled by us from which you are able to access the Services.